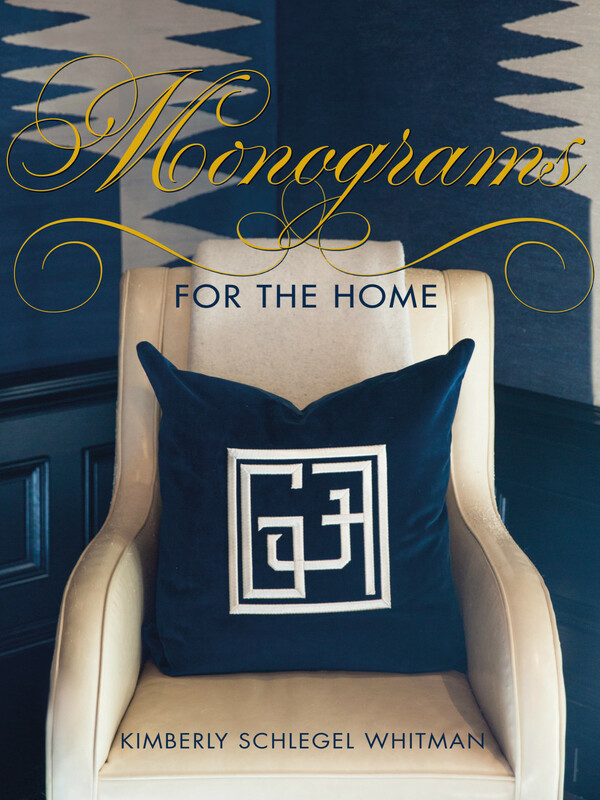 Entertaining expert Kimberly Schlegel Whitman has a new book called Monograms for the Home (Gibbs Smith, $40), which looks at the history of monograms and ciphers and how they can be incorporated into our everyday lives. So we asked our new lifestyle editor-at-large to give us some ideas about how to make our surroundings prettier and more personal. 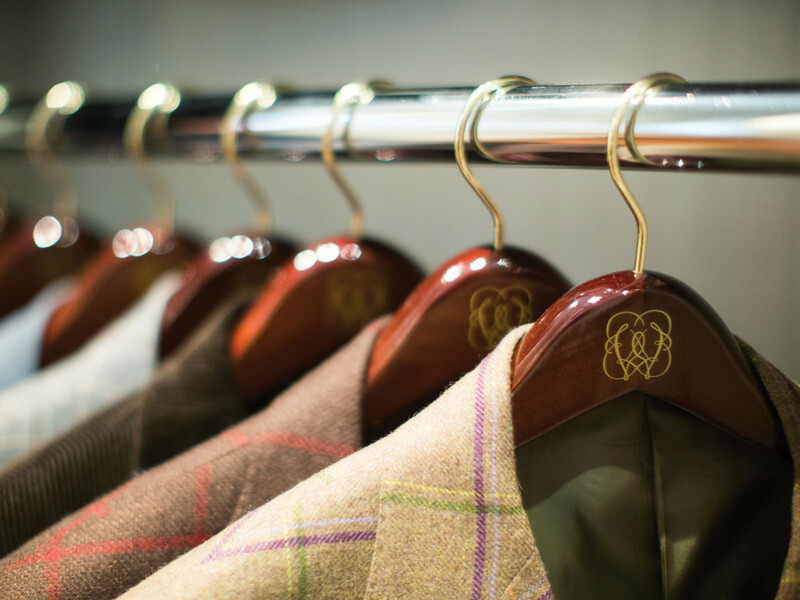 I love the way a row of monogrammed hangers looks in a coat closet — which means visitors to your home get to enjoy them as much as you do. 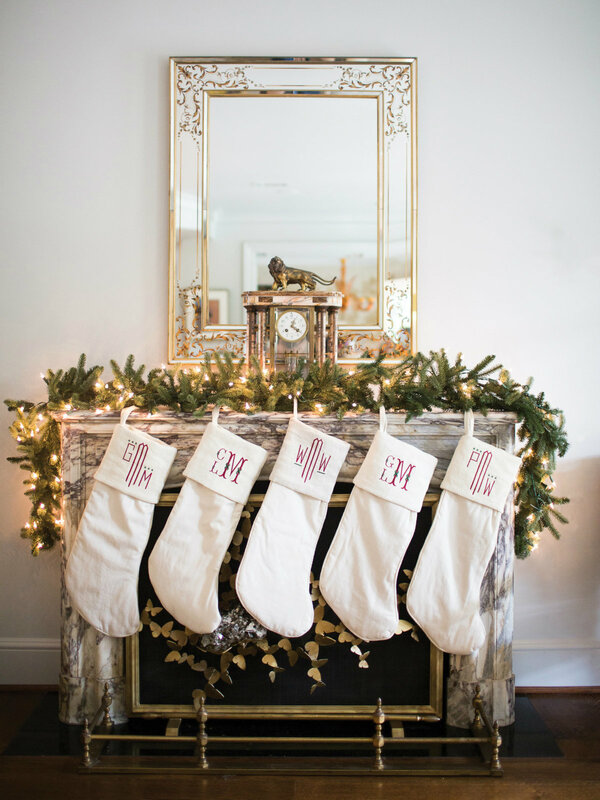 Rather than embroider names, add the monograms for a decorative and traditional touch to stockings. 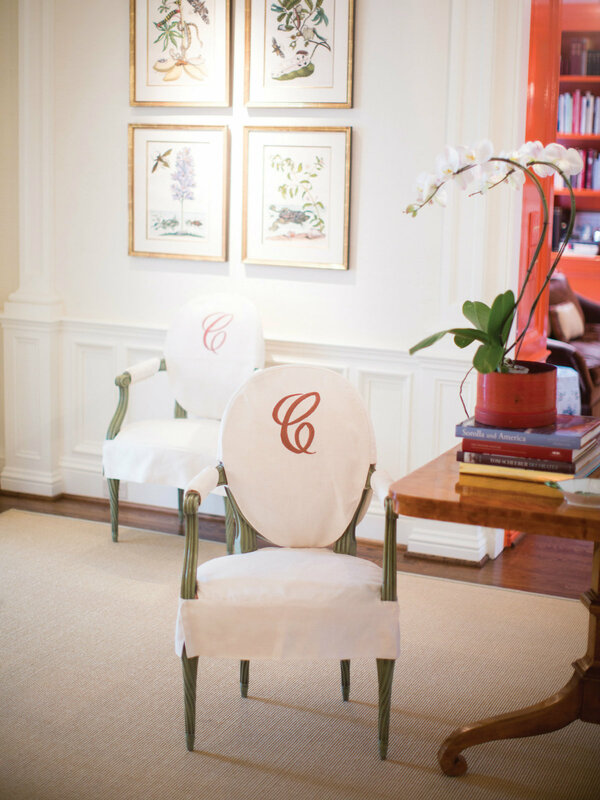 Monogrammed slip covers in a lighter fabric can give an heirloom chair a fresh look. 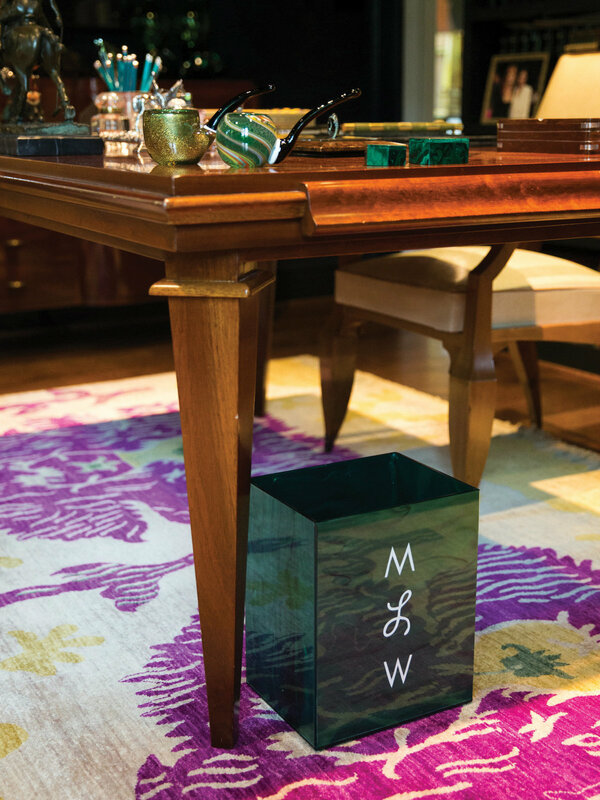 It is a necessary evil, so why not beautify a trash can with monogram? 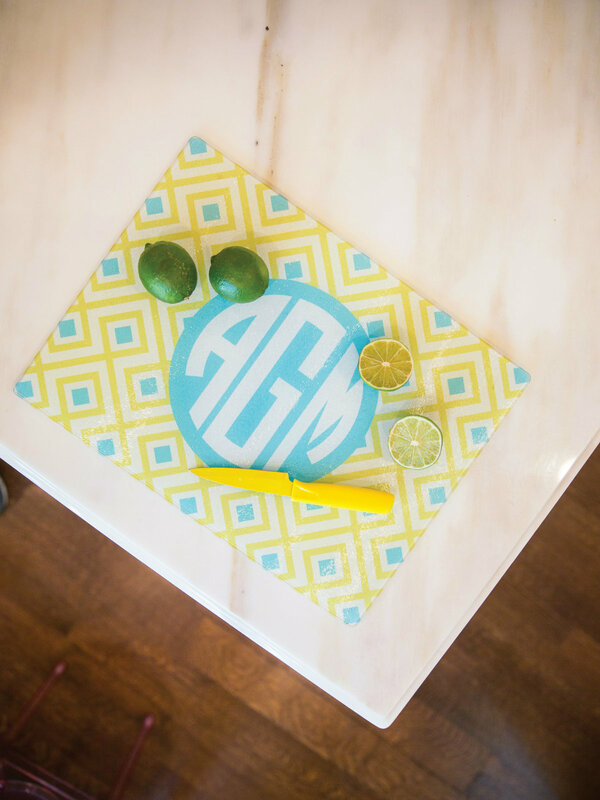 This customized cutting board makes a great gift for the hostess who has everything — and who enjoys cooking. 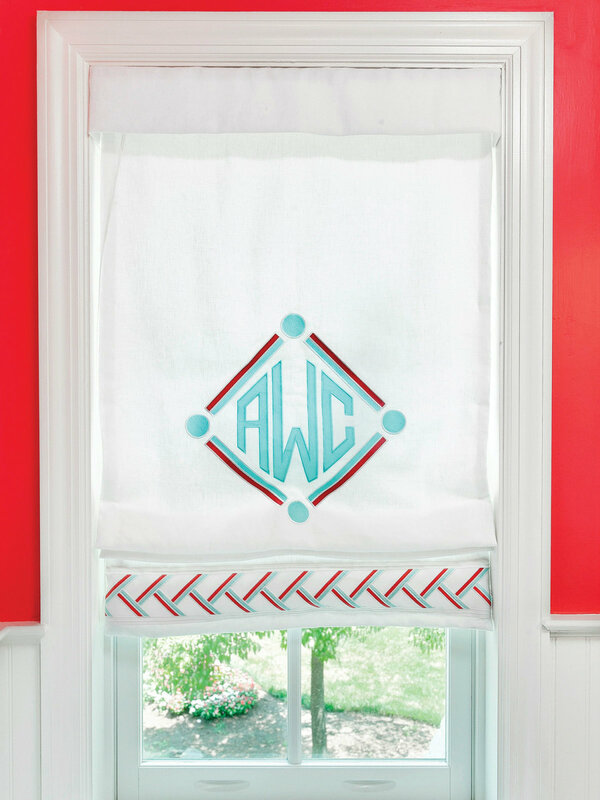 This is such a pretty way to add a touch of pattern or color to a window. So many people monogram their bed linens but few embellish the headboard. It makes such a statement in a room. 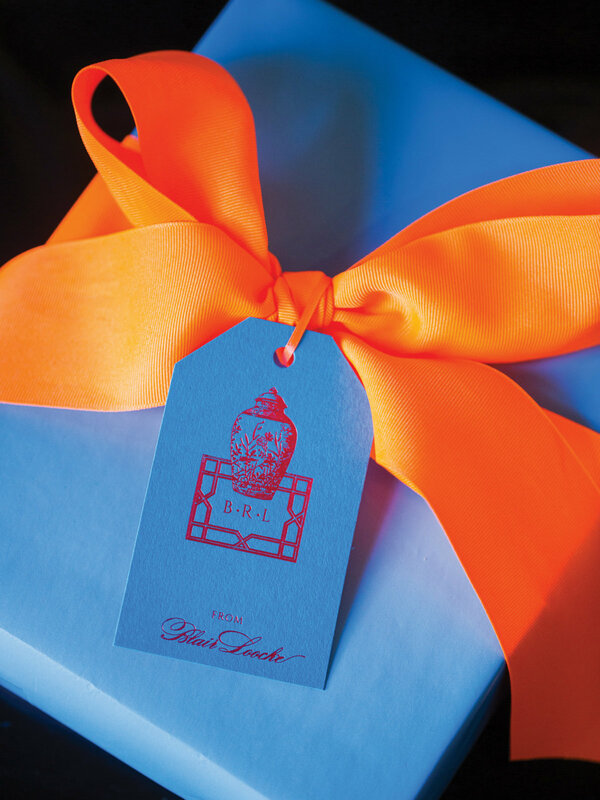 I take pride in wrapping presents, and I really love using these personalized gift tags from Emily McCarthy. 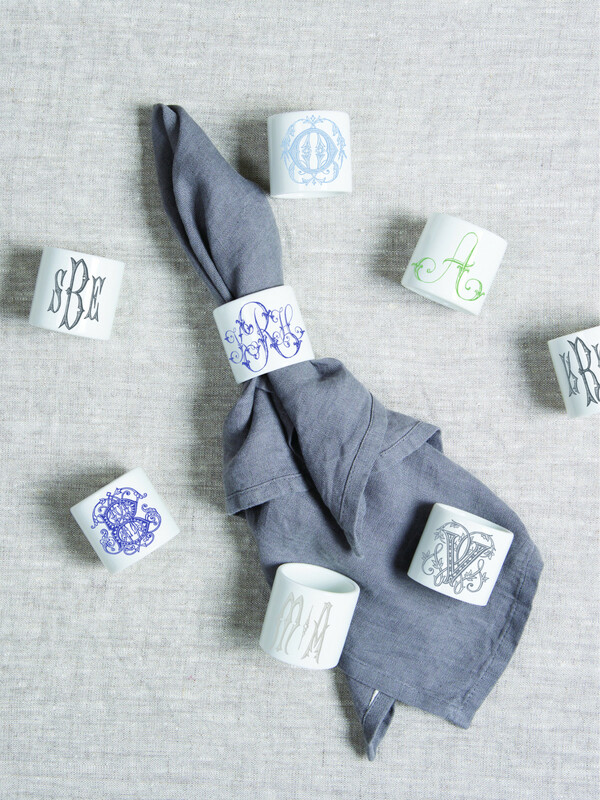 We have all seen monogrammed napkins, but these monogrammed napkin rings from Sasha Nicholas really set your table apart. 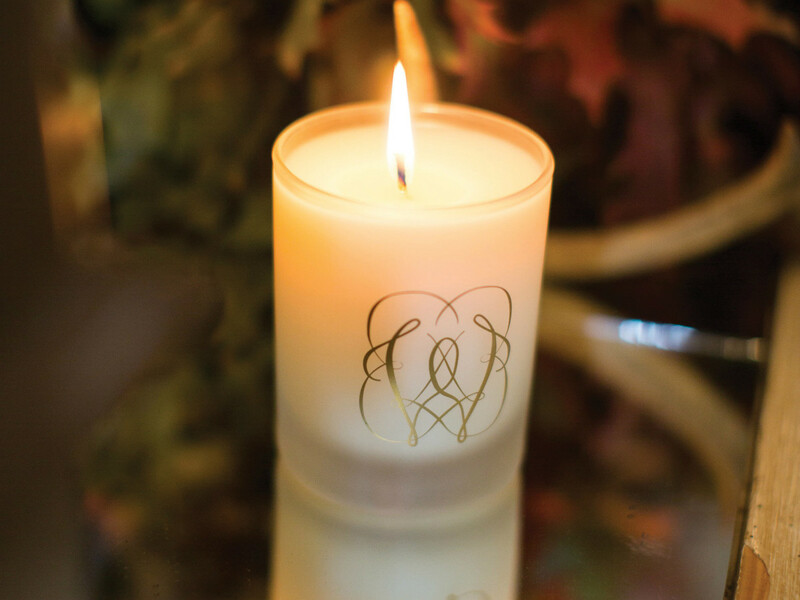 Add the name of a house or the monogram of your hostess for a personalized present, like this candle by Niven Morgan. Visit with Kim Whitman on December 9 for Luxury Garage Sale’s Salon Series: The History of Luxury Monograms, where she will speak and sign copies of her book. 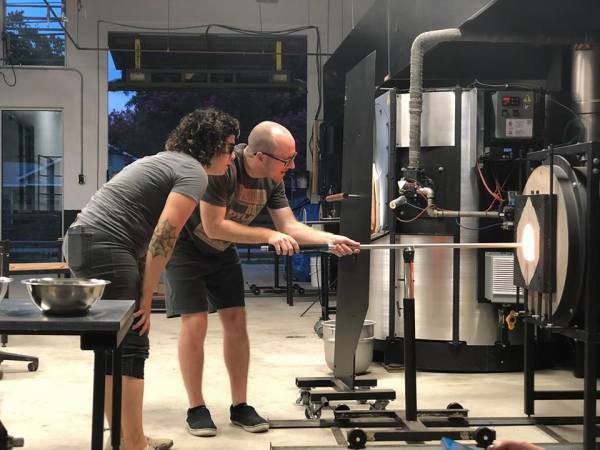 The salon starts at 6:30 pm, but LGS is hosting a pre-happy hour shopping event at 5:30, during which customers can get 10 percent off their purchases.